#FirstLine ~ I love my pet weasel. This book is adorable. I adored the devotion the boy had for his weasel and all the love that the weasel brings to his life. He cherishes his wild ,wild weasel and wants everyone to appreciate all its special gifts. This book is beautifully illustrated, but also a delightful and fun story that kids and adults will love. I cannot wait to make a lesson plan around this book! I HIGHLY recommend this book. 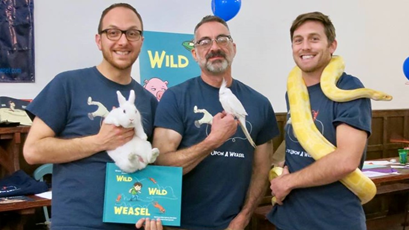 ABOUT THE BOOK: The weasel and boy are back! Space travel was a breeze compared to their latest challenge: obedience school. But can a weasel be trained? Find out what happens when wild animals go to school, just like kids. 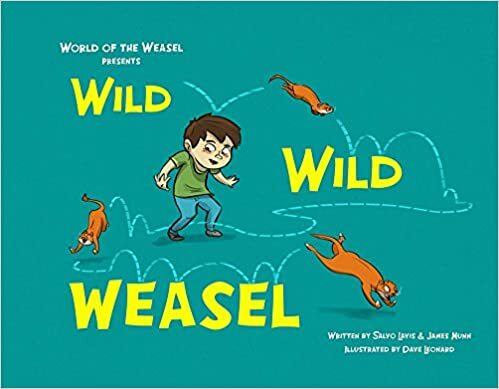 Wild Wild Weasel is a follow-up to Once Upon a Weasel and the second book in the World of the Weasel series.